Hi guys! The Expensify team would like to share an update and some troubleshooting steps for users who have been recently experiencing connection issues with their Chase cards. 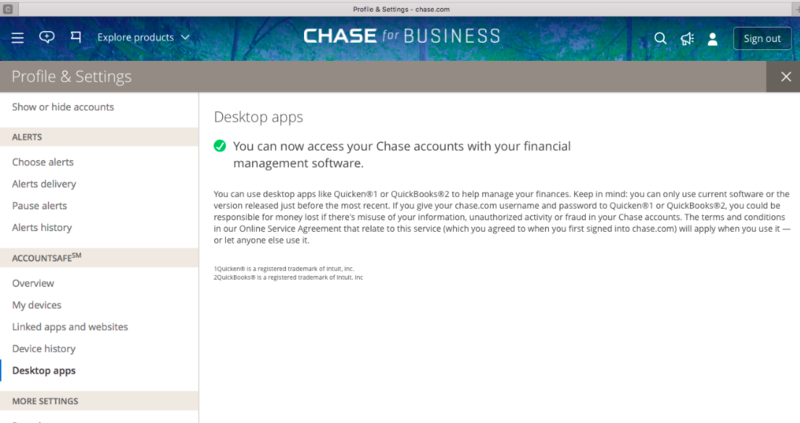 The recent connectivity issues with Chase are a result of technical changes at the bank for security reasons in addition to other improvements. These changes result in temporarily broken connections and interrupted updates. The Expensify Bank Team is currently in contact with Chase and both teams are working together to get the connectivity issues sorted out as soon as possible. If your Chase bank/credit card account has multiple individuals/logins, you will need to make sure that the administrative account at Chase has Direct Connect enabled. If you have Chase Ink Business cards, please note that you must have a Chase Business Checking account as well, and pay the $9.95/month fee in order to use the Direct Connect. Please make sure that Direct Connect is enabled in your account. The Direct Connect settings can be found under the Desktop apps section on your online bank portal. If Direct Connect is enabled in your Chase account and you are still experiencing issues with this card connection in Expensify, please try changing your Chase password to 8-32 characters. Please note that this is recommended even if your password already meets this requirement. We’ve heard from multiple users that this action has allowed them to restore their connection on Expensify. If you've gone through all the troubleshooting steps above and are still experiencing issues with your connection, please reach out to [email protected] and the team will be able to take a closer look at the issue for you.